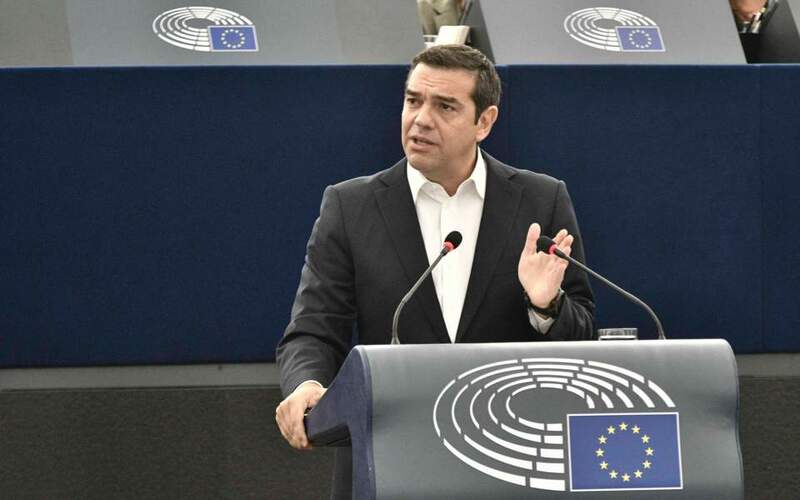 Prime Minister Alexis Tsipras lashed out against the democratic shortcomings of the European Union on Tuesday, warning of an impending “intense battle” between the forces of extreme neoliberalism and extreme-right populism. “The failure of the EU to give democratic and functional solutions to the present challenges will unavoidably lead to the triumph of chauvinism and an increase in nationalist conflicts,” he told European lawmakers in Strasbourg. “We had technocratic institutions like the troika who held the keys of economic sovereignty and did not have to answer to anybody,” he said. He also struck an optimistic tone, saying that Greece has become “part of the solution for Europe” after being the “source” of the bloc’s financial crisis. But his optimism was not shared by Spanish MEP Esteban Gonzalez Pons of the European People’s Party, who slammed Tsipras for wasting valuable time in the first six months of his government, which he said led to the loss of 100 billion euros due to the “irresponsibility of its star” – former finance minister Yanis Varoufakis. Pons also said that nepotism remains a political practice of ruling SYRIZA. Breaking with the tradition of keeping domestic politics out of international forums, he also accused ND of populism due to its opposition to the Macedonia name deal.